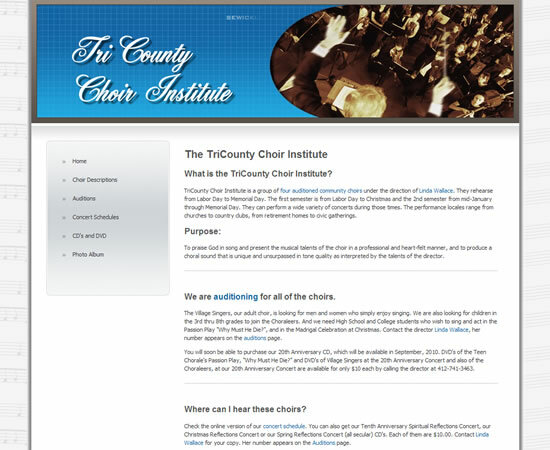 The TriCounty Choir Institute is a group of four auditioned community choirs under the direction of Linda Wallace, based in Sewickley, PA.
We took the original website and gave it a more cohesive look and feel. We also made the page that displays the concerts build its content from a database rather than relying on somebody editing the html code each time an event needs to be added, edited or removed. 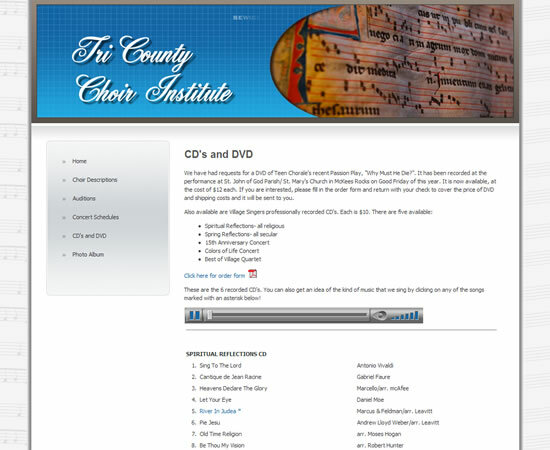 Then in early 2010 we redesigned the whole site, adding the ability for visitors to hear samples of the choirs’ work. 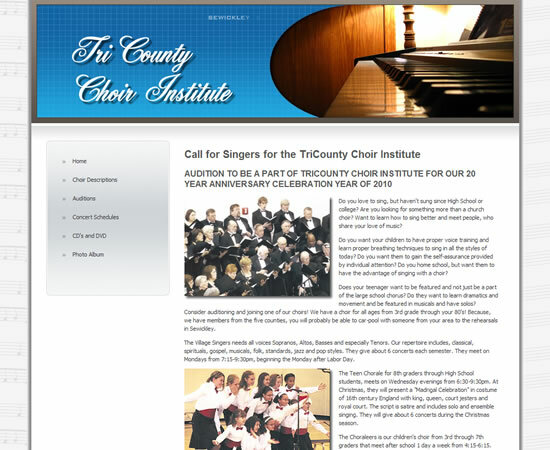 We provide the total solution for this site, including design, coding, development and hosting.